Have you ever noticed how young people in good health never seem to have indigestion? It is because their stomachs make enough acid to digest their food. But as we age, our stomachs make less and less acid. By the time we are 60 years old, our stomach acid has dropped off up to 75 percent less from when we were 20. If we are making significantly less stomach acid, then what’s up with the millions we spend on antacids to treat our “acid reflux”, GERD and etc.? As with most health problems, conventional medicine treats the heartburn symptoms of acid reflux without making any effort to understand or address it’s cause. Unfortunately, the popular methods of treating heartburn symptoms actually worsen their most common cause and can potentially lead to significant health issues. Maybe, just maybe, it isn’t an overproduction of acid in our tummies but rather a lack of it. Millions of dollars go into advertising to convince us that we need the latest and greatest antacid when in fact we simply need more hydrochloric acid. At the top of our stomach is a flap known as the hiatal valve which has a one-way action that allows food and liquids into the stomach. With sufficient pressure in the stomach, the hiatal valve remains closed and everything stays in the stomach and out of the oesophagus. As we age and our stomach acid levels decline, the flap begins to leak without sufficient pressure to keep it closed, especially when we lay down. The result is a nasty acid burp, acid reflux, heartburn, GERD and oesophageal eroding. Because this tastes, smells, feels and burns like acid, we have been schooled to reach for the antacid for relief. Acid reflux is usually a symptom of too little stomach acid that results in poor digestion, gas, boating and elimination problems. Without enough digestive acid in the stomach, proteins and minerals are not properly broken down, pathogenic bacteria that is normally burned up by hydrochloric acid slips past the stomach and into the bowels while fungus that normally resides in the intestines overgrows the stomach, oesophagus and mouth. To make matters worse, without enough stomach acid, the pancreas and gall bladder are also inhibited, bringing on a real health crisis. Stomach acid breaks down the dense food we eat into small molecules that are absorbed by the intestines and distributed throughout the body. This absorption, which is critical to our health, can only occur when an adequate amount of stomach acid is available to create an acidic environment in the small intestine. If stomach acid levels aren’t high enough, food won’t be fully digested and it’s nutrients won’t be absorbed well. Even the absorption of supplements is impaired when stomach acid levels are low. People who aren’t absorbing much of the nutrients from the food they eat due to low levels of stomach acid are likely to be suffering from malnutrition, even if they’re overweight. This can lead to a wide variety of conditions and diseases including anemia, heart disease, cancer and osteoporosis. It can also inhibit the digestion of dense proteins into amino acids. Because these amino acids are precursors to the neurotransmitters that promote mental stability, an inadequate production of stomach acid can even result in mood disorders. Stomach acid also protects us from infection. Because of the extremely acidic environment it creates in the stomach, it prevents intestinal bacteria and fungus from migrating into the stomach, and more importantly, kills infectious organisms and prevents them from entering the intestines and the blood stream. Without this protection, infection from such organisms can result in a wide variety of illnesses and even cause death. 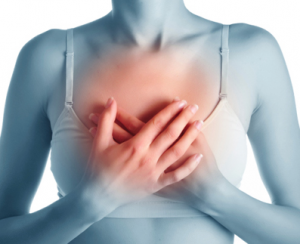 The misconception that heartburn and acid reflux are caused by excessive levels of stomach acid – the most common treatment protocol for these problems is to reduce stomach acid levels with antacids such as Tums, Rolaids or Alka-Seltzer or acid suppressors such as Nexium, Prilosec or Zantac. While antacids work by simply neutralising existing stomach acid, suppressants are much more invasive because they directly inhibit the stomach’s ability to produce acid. These treatments are aimed at relieving symptoms and do nothing to address the problem that’s causing them. They relieve the pain of heartburn by reducing stomach acid levels, and in turn, reducing the chance of it refluxing through the malfunctioning lower esophageal sphincter. In fact, some heartburn treatments nearly reduce acid levels down to nothing. While this may relieve pain, it worsens the digestion and absorption problems associated with low levels of stomach acid and increases susceptibility to serious health issues. The best way to avoid heartburn and prevent acid reflux is to support proper function of the lower esophageal sphincter. Drink more water. Dehydration can lead to acid reflux by causing the lower esophageal sphincter to relax. Avoid medications that can weaken the lower esophageal sphincter. This includes bronchodilators such as theophylline, albuterol and ephedrine, and NSAIDs such as aspirin, ibuprofen and naproxen. It also includes calcium channel blockers, beta blockers, diazepam, valium, nitrates and demerol. Cigarettes should be avoided as well. Don’t overeat. Excessively large meals put pressure on the lower esophageal sphincter and encourage it to open when it shouldn’t. Next time you feel the acid rising, try sucking on a lemon wedge or drinking 2 tablespoons of apple cider vinegar right after a meal. If the acid problem goes away, this means that you don’t have enough stomach acid to do the job. If the acid problem worsens, there may be an ulcer or other inflammatory process going on that needs attention. Hydrochloric acid is naturally produced by the stomach and is the primary constituent of it’s digestive fluid. For people who have a chronic insufficiency of stomach acid, hydrochloric acid supplementation can be a very effective way to improve digestion, absorption and many of the health issues that can be caused by malnutrition. People who need hydrochloric acid supplementation tend to also benefit from digestive enzymes, especially pepsin. Taking an Eagle DigestAid, with the morning and noon meals will help provide the stomach with the acids necessary to break down nutrients and also help lower the body’s pH. Supplementation should be taken 20-30 minutes before meals to enhance absorption of nutrients and also protect against orally ingested pathogens and prevents the overgrowth of bacterial or fungal in the small intestine. Don’t take it though if the HCL gives you heartburn. People who have a damaged gastrointestinal lining could potentially worsen the damage by taking hydrochloric acid. Taking 1/2 to 1 teaspoon of aluminium free baking soda in the late afternoon will also stimulate the production of more hydrochloric acid.